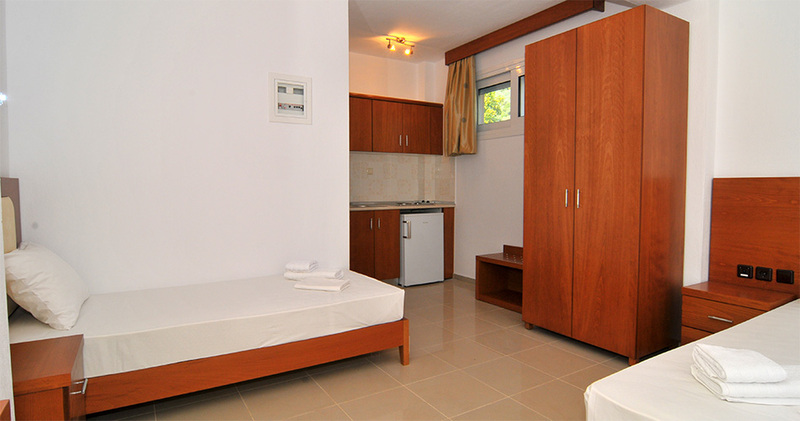 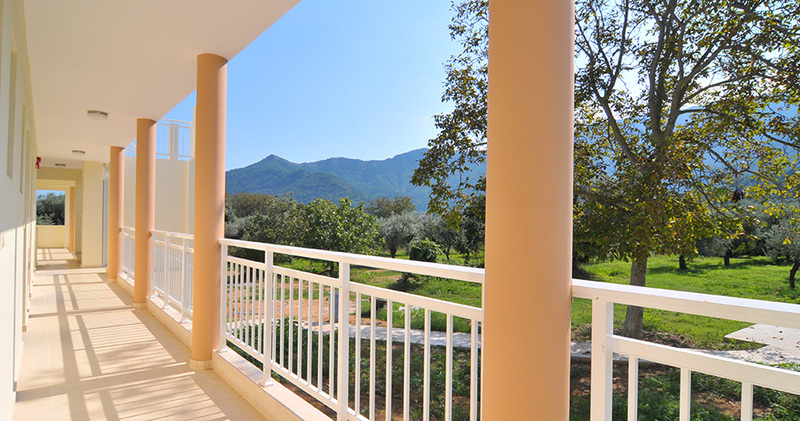 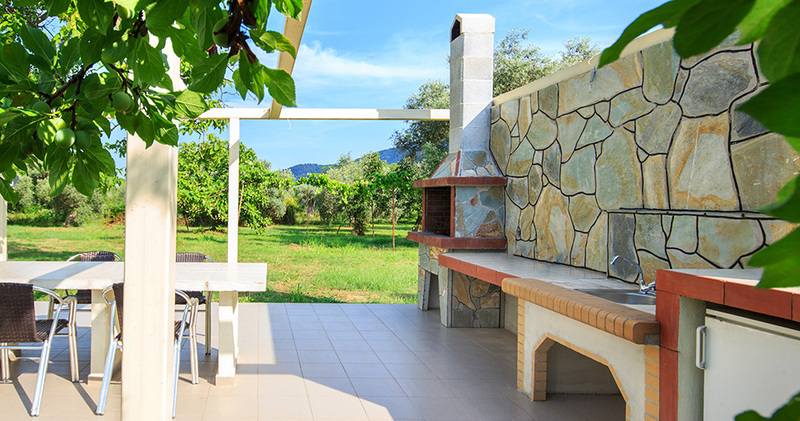 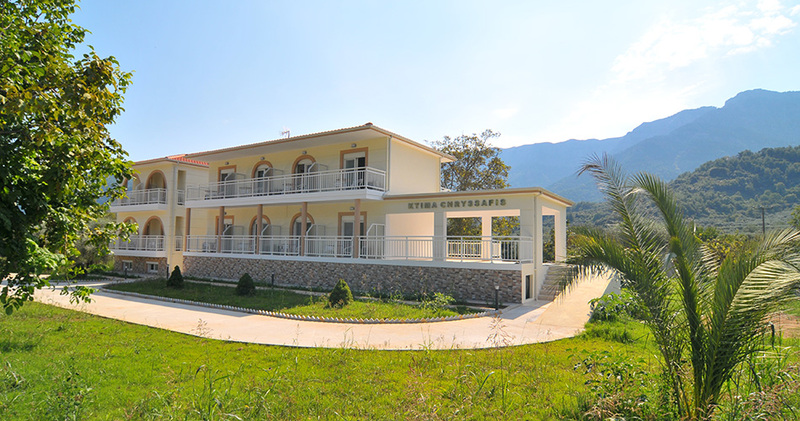 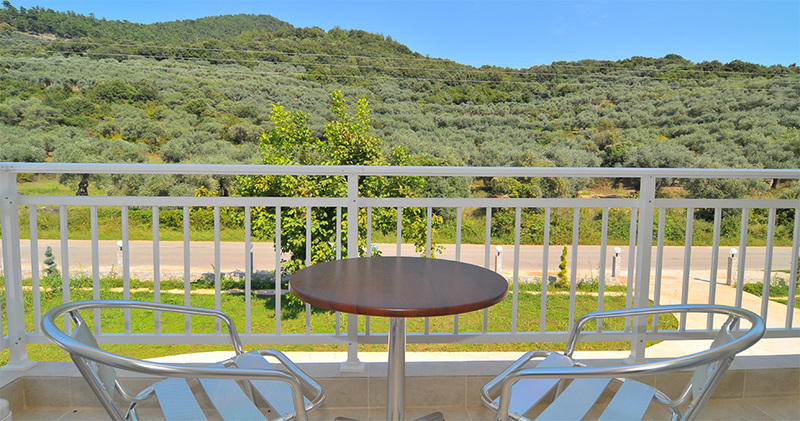 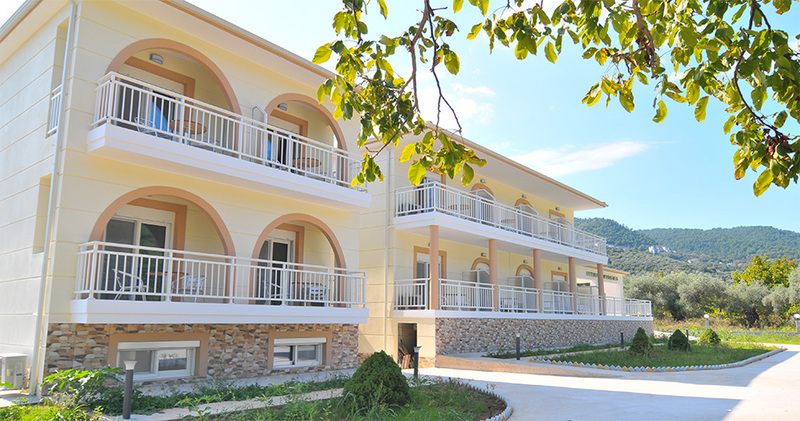 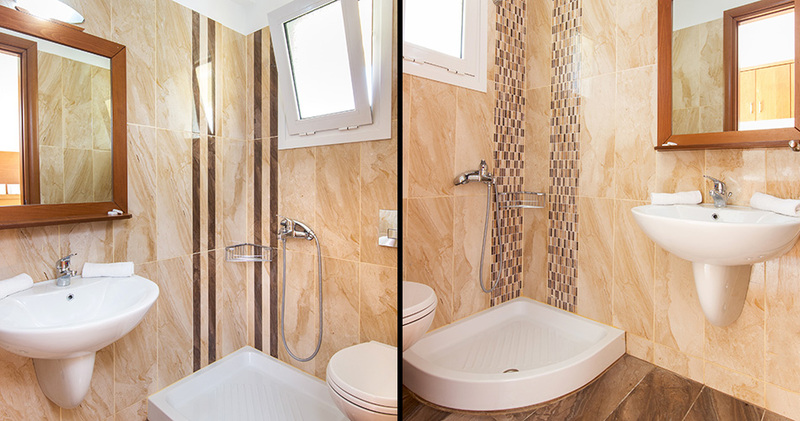 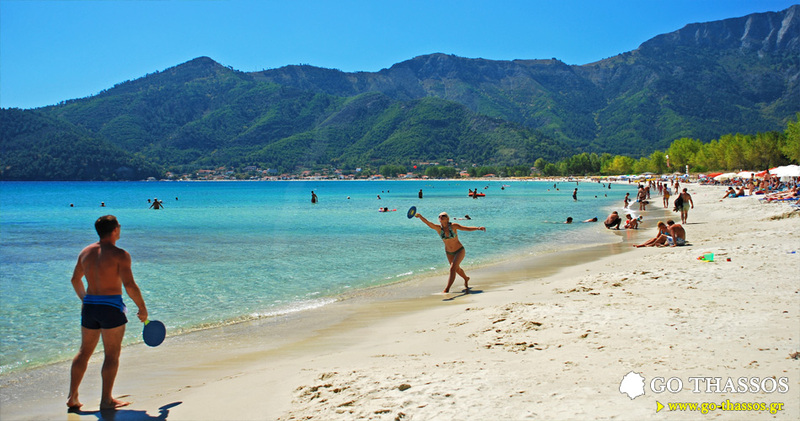 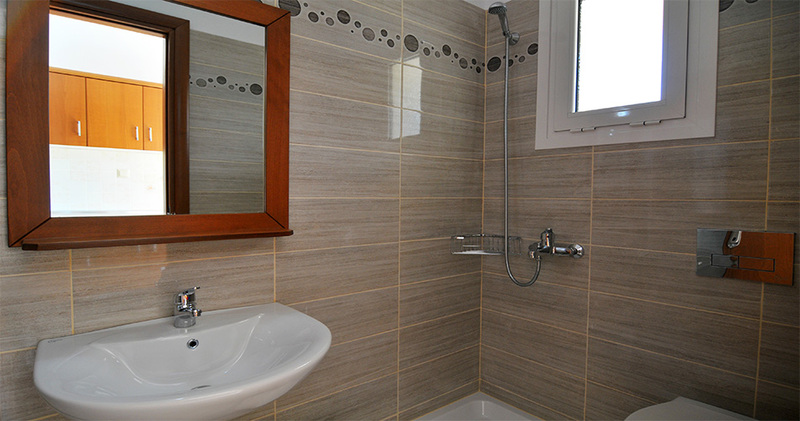 Ktima Chryssafis Studios are set in a stunning location between magnificent green mountains and the sparkling blue sea. 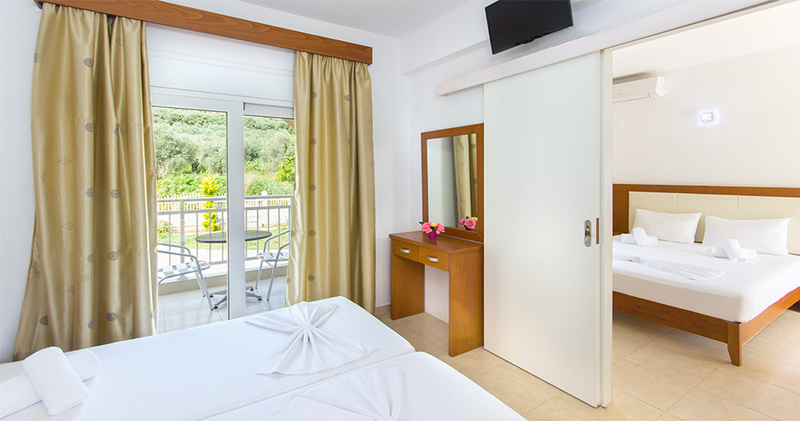 Our spacious studios are newly built and nestled in a beautiful fruit orchard and olive grove, the ideal setting for your holidays near Golden Beach on Thassos island. 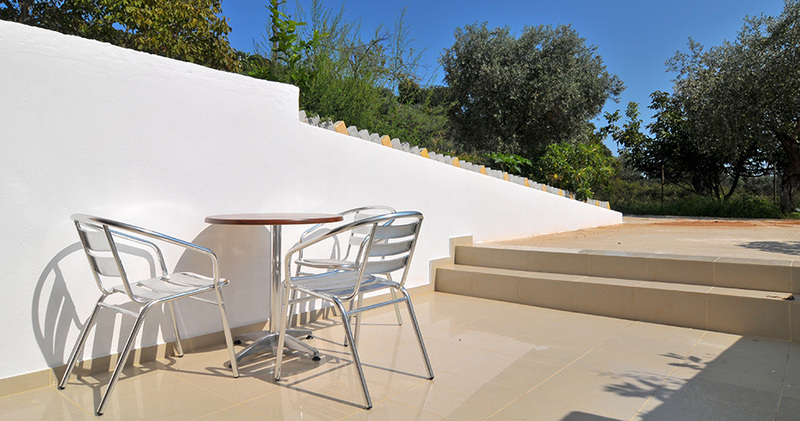 At our quiet location you can enjoy the tranquility of nature with amazing panoramic views and quick access to the beach. 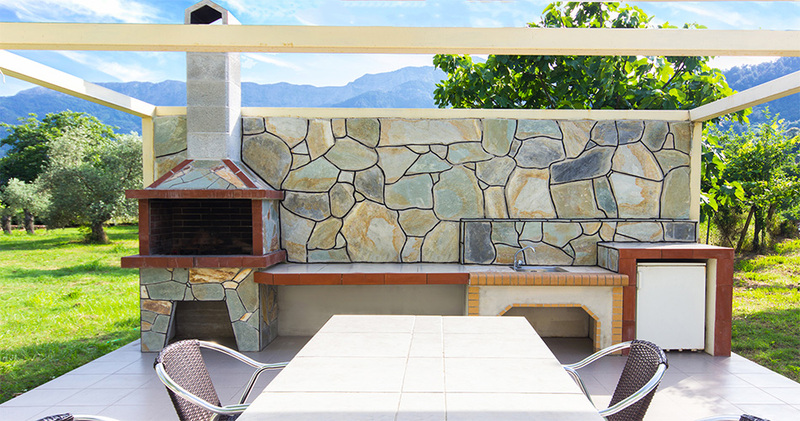 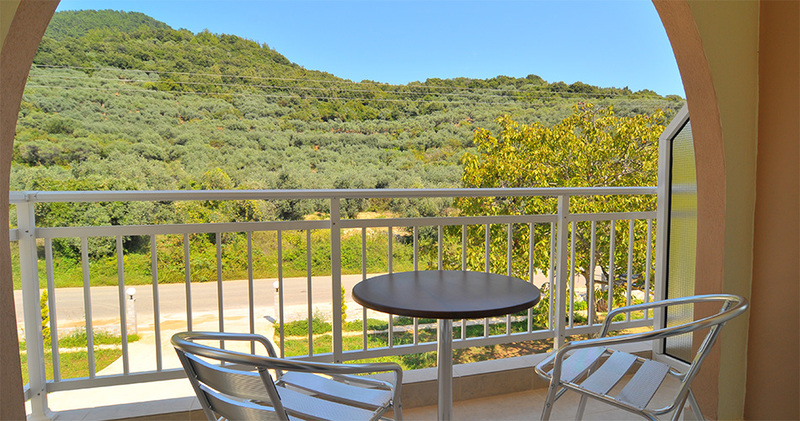 All the studios have a large balcony, so you can fully enjoy the charming landscape and surrounding views. 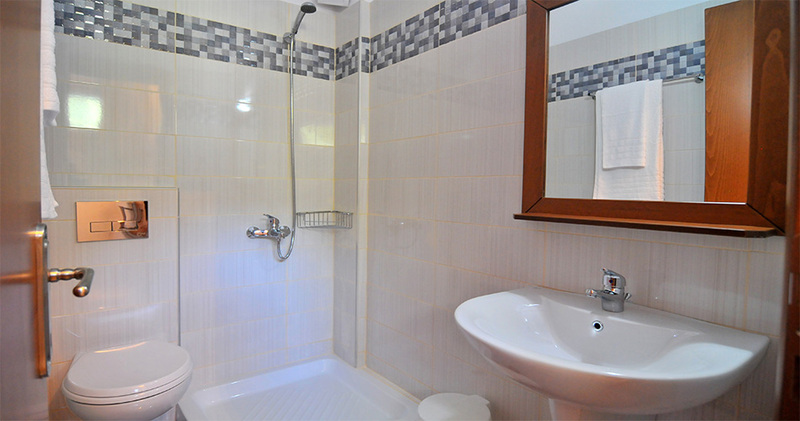 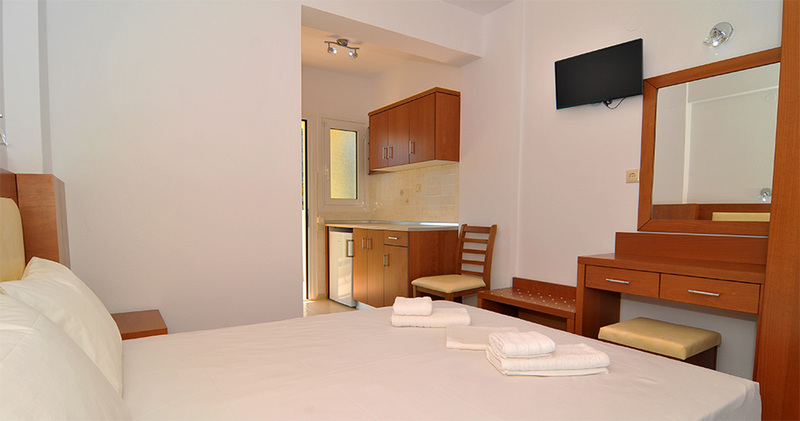 Every studio also has free Wi-Fi access and a fully-equipped kitchenette for cooking and preparing meals and snacks. 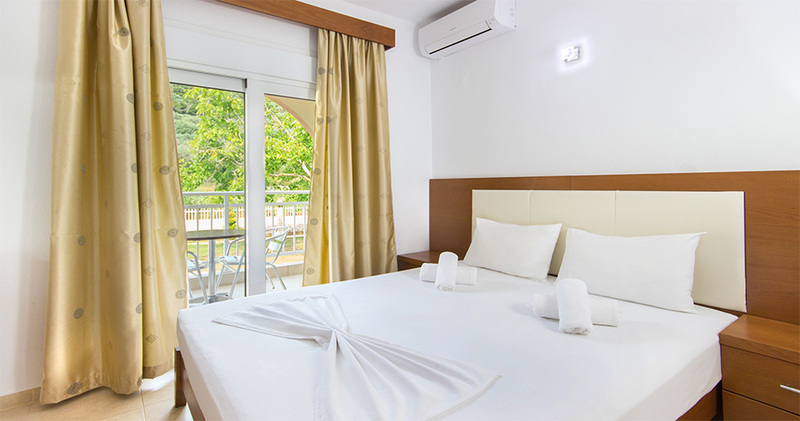 The studios are on the main road, about a 15-minute walk from Golden Beach where you’ll find water sports, shops, bars and restaurants. 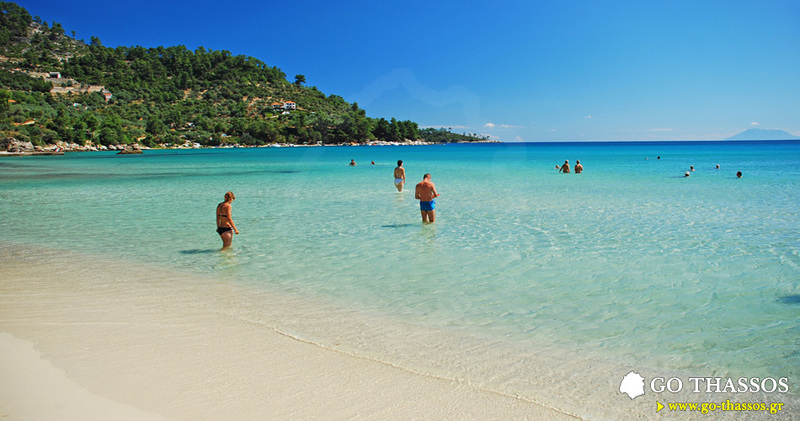 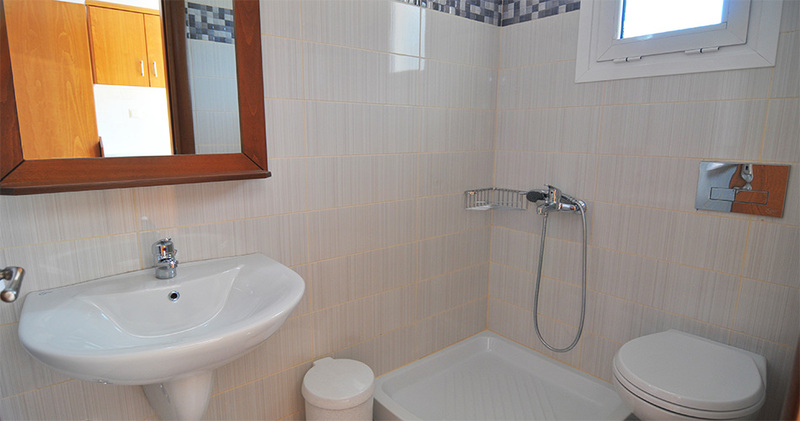 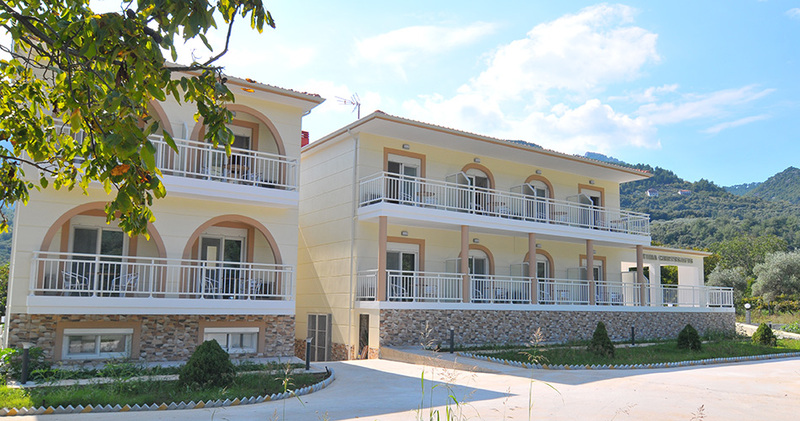 We aim to provide you with a very comfortable, self-catering stay on Thassos. 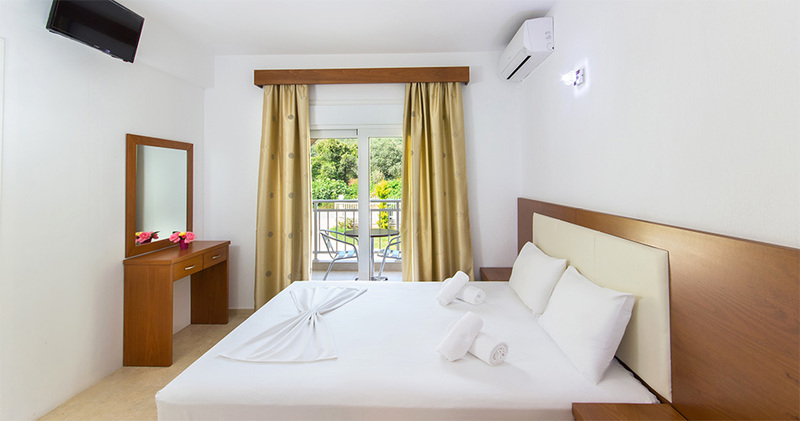 Contact us today and book direct for our guaranteed best rates.